I have a wee tutorial up on my blog at the moment on how to make and insert inseam piping as I did on my Airelle Blouse. It’s so easy to do and piping can add such a sweet little detail to your garments. You can either choose to make it from a contrasting fabric or from the same fabric for a more subtle effect. 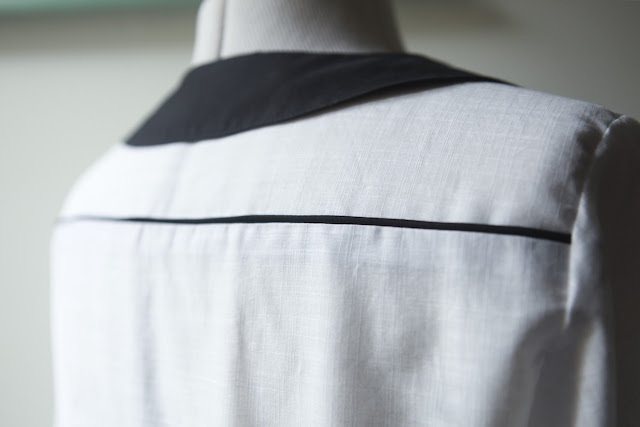 Insert piping into yolk seams in shirts, waist seams in skirts and even along neck lines in dresses or other tops. If you’ve ever wanted to know how to add your own inseam piping to garments (or use the same technique for cushion covers and other home wares) check out the tutorial here. It’s the little details like piping that really take a garment up a notch, I think. I’ve got some serious piping time in my future – I’m making a 1950s cowboy shirt for my husband that takes 4 yards of the stuff.